Iran, Aug. 8, 2018 - In 1988, under the order of Iranian regime supreme leader Ruhollah Khomeini, the Iranian regime executed more than 30,000 political prisoners, the majority being members and supporters of PMOI/MEK. At the time, the regime needed to eliminate the opposition to consolidate its power at one of its most critical moments. The victims were executed in the span of mere months and their bodies were tossed into mass graves scattered across Iran. The regime thought it could keep the 1988 massacre silent. Since then, the MEK has tried to bring the world attention to this heinous crime, which the regime has constantly denied. But three decades later, its crimes are catching up with it. Since 2016, an international movement led by the MEK has been documenting and publishing details of the 1988 massacre and exposing the authorities who were involved in the crimes. MEK activists and supporters inside Iran have been gathering information about the victims and the clandestine mass graves they’ve been interred and published them on social media and websites. As a result of the activism surrounding the 1988 massacre, the event has received international attention in the past year from prominent organizations and personalities such as Amnesty International and the UN Rapporteur on the situation of human rights in Iran. Many politicians and lawmakers have described the event as a crime against humanity and called for the international prosecution of its perpetrators, most of whom still hold key positions of power in the Iranian regime. The Iranian regime, fearing the consequences of the scale of the crime became known, has engaged in a widespread campaign to destroy evidence of its crimes, including destroying graves and carrying out construction projects on the mass burial sites. Meanwhile, MEK activists have been documenting the regime’s activities and registering images of the graves to prevent the regime from destroying the evidence of the 1988 massacre. These activities expand to most provinces across Iran, including Tehran, Semnan, Khorasan, Qom, Qazvin, and Bushehr.  Below are some of the videos recorded by MEK activists, in which they commemorate the memories of the victims of the 1988 massacre and document the destruction of the graves. 30 years after the 1988 massacre, the memory of those who gave their lives for freedom still lives, and the Iranian regime fears that memory more than ever.